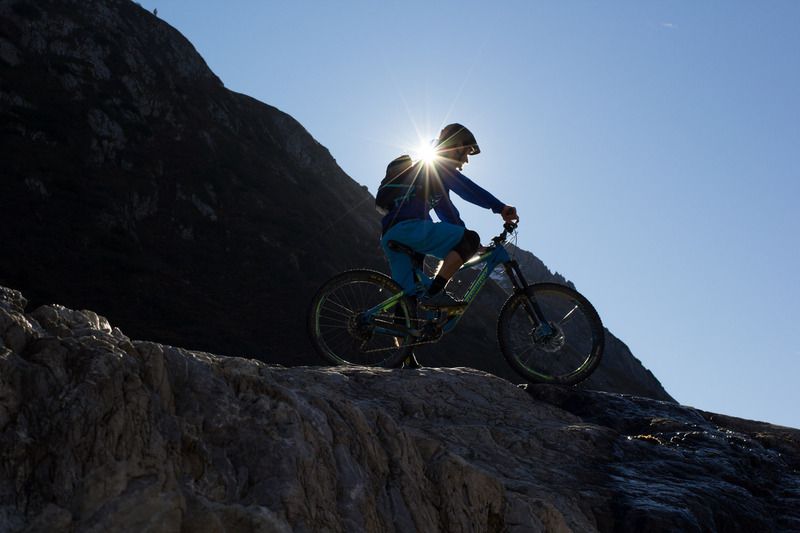 If you want to be sure to do everything at your own pace and style, a private mountainbike guide is the best option for you. We are open every day of the week from the start of May till the end of October. Private guiding means that we will choose the bike-trails and meeting point according to your interest and skills. We ride with complete beginners, pro’s and everything in between. Whether it is lift access, shuttled or pedaled, everything is possible. When needed we will travel to locations like Reschenpass (Italy) or Lenzerheide (Switzerland). Our homespots are Arlberg, Serfaus and Brand. There we have downhill parks and options for lift-access singletrails. Customized, multiday Alp Crossings are also a possibility. We are experienced photographers that are happy to provide you with actionshots and videofootage. On request we can specifically organize film- and photoshoots. What else is more fun then perfecting your line? No matter if single trails, flowy freeride lines or steep and technical downhill terrain. We will strengthen your skills in a playful way through fun riding. If it is necessary we will help you to adjust your bike. The technique training will give you more confidence and teach you how to stay in control in all sorts of terrain. You will learn how to choose the perfect line. If you are ready to get some air we can help you to progress and add some style to your jumps. The lessons mainly take place in the bikepark Brandnertal. The park offers easy beginner lines till extreme downhill. The training is very effective with the lift-access. On request we can also do skills and lines training at other locations. Let us know what you want. Everybody has their own wishes and ideas; We are here to make it happen! Below are just a few ideas to help you out. Is it mountainbiking the best trails and have the time of your life? Would you like to learn more about technique and become a better rider? Do you need an introduction into ebiking and learn more about techniques to get you safely down and up? Would you like to get your family into mountainbiking? 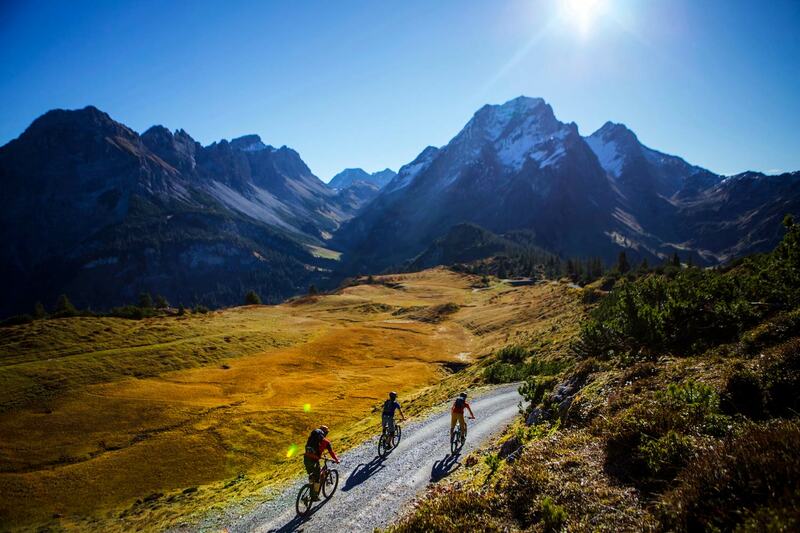 Do you want to know more and better mountainbiketrails in our region? *we do work together with a lot of rental shops, ask us for the possibilities and local rental prices. With some shops we can get you a discount. 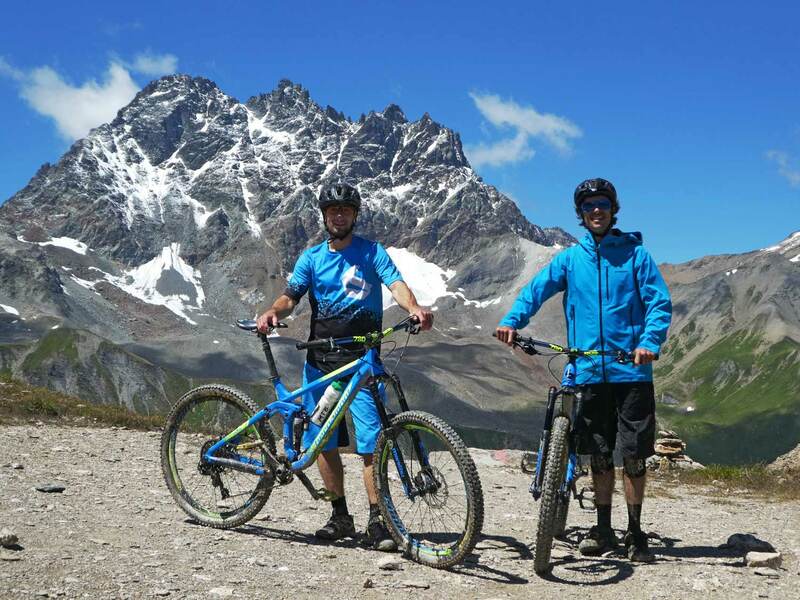 Did you know that ebiking is the fastest growing sport in the Alps? On an E-bike you get to the top of the mountain much easier than on a conventional mountainbike. That brings a long some serious challenges and safety issues. We believe that when you are on an E-bike, riding and braking technique are even more important, as you cover much more ground in a faster pace. That means also you can ride singletrails that were inaccessible before. We advise you to take a lesson first before you start making e-bike tours and you will be much safer, have a better tour planning and prepared for all obstacles to come. * After booking, our guides will inform you on what material to bring. Please get in contact for more details or questions about gear.